NASHVILLE, TN — Nashville Soccer Club and Nissan today announced a multiyear partnership in which Nissan will become the club’s first jersey front sponsor. Nashville SC unveiled one of the club’s two Under Armour jerseys with Nissan’s logo exclusively featured on the front and announced the fans will select the second jersey through an online campaign. Nissan has strong ties to Nashville with its North American headquarters in Franklin, Tenn., its vehicle and battery assembly plant in Smyrna, Tenn., and powertrain plant in Decherd, Tenn., employing more than 12,000 in the area. 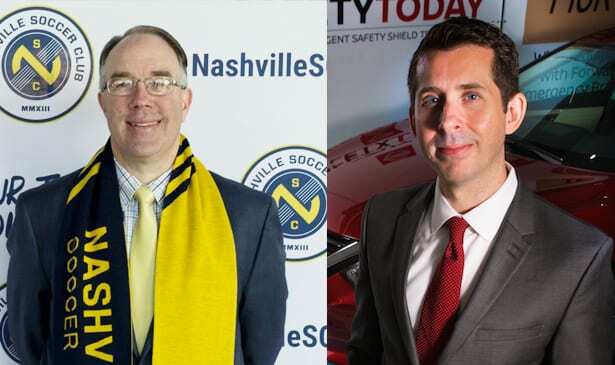 Nashville SC is proud to be part of Nissan’s global soccer portfolio, which includes partnerships with the UEFA Champions League, the English Premier League’s Manchester City, and the Mexican National Team’s U.S. Tour. Nissan will make its debut on Nashville SC jerseys in March for the start of the USL season. Fans will have the opportunity to vote on the design of the club’s light-colored Under Armour jerseys via an online vote at www.nashvillesc.com. Nashville SC is Nashville’s professional soccer club and will begin its inaugural season in the United Soccer League in March 2018. For more information, visit NashvilleSC.com and follow the club at @NashvilleSC on Facebook, Twitter and Instagram. Previous articleWhat is a PPO Dental Plan?